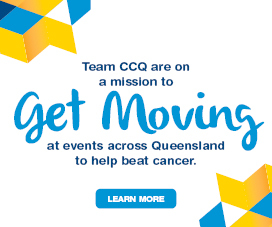 Cancer Council Queensland’s Everyday Health Surveys are designed to give Queenslanders a voice and engage them in a conversation about the health issues that affect all members of the community. We use results from the Everyday Health Survey to develop targeted strategies to help all Queenslanders live healthier, happier and more empowered lives. The World Health Organisation recommends limiting sugar consumption from both food and drinks to no more than six teaspoons a day for optimum health. Sugar-sweetened beverages contain high amounts of added sugar, with little or no nutritional value and may lead to weight gain, which can increase the risk of a number of chronic diseases, including cancer. 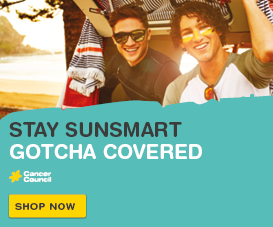 The Everyday Health Survey: sugar-sweetened beverages was conducted in July, 2018 by Cancer Council Queensland and Heart Foundation. The aim of this survey was to assess support for proposed regulations to reduce sugar-sweetened beverage consumption. 76 per cent of respondents had consumed a sugar-sweetened beverage in the three months prior to the survey. 85 per cent of respondents knew that it is very likely that consuming too much sugar increases the risk of overweight and obesity. 63 per cent of respondents support the introduction of a 20% health levy on sugar-sweetened beverages. 81 per cent of respondents support gradually removing sugar-sweetened beverages from Queensland government health facilities. 77 per cent of respondents are in favour of a government funded consumer education campaign to highlight the health impact of sugar-sweetened beverages. Stay tuned for more findings from the Everyday Health Survey to be released at a later date. For more information about sugar-sweetened beverages, visit Rethink Sugary Drink. The aim of this survey was to understand the impact second-hand smoke has on the community and to identify additional places the community support becoming smoke-free. 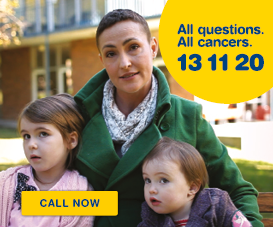 The aim of this survey was to understand the financial impact of a cancer diagnosis and treatment, faced by thousands of Queensland families every year. Read the Report on Financial Burden or read more about how to access support. This survey focused on smoking and tobacco control and aimed to identify smoking habits and community views on the future direction of tobacco laws in Queensland. Read the Report on Tobacco, view the results or read more about the harmful effects of tobacco smoking. This survey explored individual diet and lifestyle habits focusing on factors such as nutrition, food marketing and consumer psychology and behaviour. Read the Report on Nutrition, view the results or read more about healthy eating and drinking. We’re calling on Queenslanders aged 18 years and over to take part in our next Everyday Health Survey to help us improve the health of our community. If you would like to take part in future Everyday Health Surveys, please provide your email address below, and we will be in touch when the next survey opens!